Theory is something we understand when it comes to maths or science. A theory is a prediction as to why something that has usually been observed to happen does happen, and scientists use theories routinely to make predictions, explain why certain things happen, and so on. Driving test theory, or really driving theory, is there to help make you a safer driver. By understanding the rules of the road, and why they are there, you can make yourself a safer driver and hopefully in turn more responsible, and thus improve road safety for everyone. And that is what the driving test theory element is really all about: ensuring that the next generation of drivers are safe and responsible drivers. By knowing what the rules and regulations of the road are: speed limits, by knowing what road signs mean, and how to react to certain important situations such as encountering pedestrians at crossings, you can make the roads safer for yourself and in turn for other drivers, pedestrians and any other road users. This is why the driving test theory element is just as crucial as the practical test. Whilst some see it as just an added complexity in learning, understanding the theory behind the driving test theory section will help you see why it is as important as it is. You should approach this element just as seriously as you do the practical test itself. 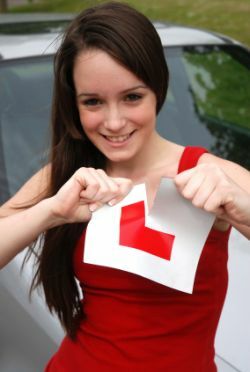 By doing this not only will you increase the chance of passing it first time, but you will also be making yourself a safer and more responsible future driver in the process. There are risks involved whenever you get in a car, so a thorough grounding of theory is not just a nice to have.